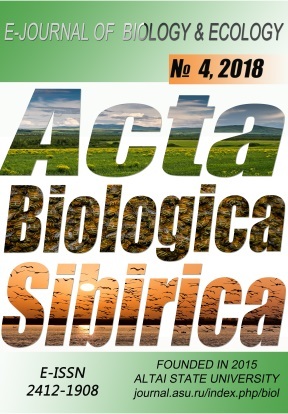 The data on noteworthy records of five species are reported: new localities within the peninsula are provided for Allium regelianum and Frankenia pulverulenta; Ornithogalum arcuatum and Phelipanche arenaria are confirmed for the flora of the Crimea; Tetradiclis tenella was found by us after 94 years since its previous collection. Agapova, N.D. (1979). Rod 20. Ptitsemlechnik – Ornithogalum L. Fedorov A.A. (ed.). Flora yevropeyskoy chasti SSSR, 4. Leningrad: Nauka (in Russian). Appendix I – Strictly protected flora species (2002). Convention on the conservation of European wildlife and natural habitats (Bern, 19.09.1979). Available at: http://rm.coe.int/1680304354/ (accessed 11 August 2018). Bagrikova, N.A. (2016). Frankenia poroshistaya. Yena A.V., Fateryga A.V. (ed.). Red book of the Republic of Crimea. Plants, algae and fungi, 2nd ed. Simferopol: Arial (in Russian). Chernova, N.M. (1948). O nekotorykh novykh i interesnykh dlya flory Kryma vidakh. Trudy Gosudarstvennogo Nikitskogo botanicheskogo sada, 25(1/2), 153–159 (in Russian). Chernova, N.M. (1951). Rastitelnyy pokrov zapadnykh yayl Kryma i ikh khozyaystvennoye znacheniye. Trudy Gosudarstvennogo Nikitskogo botanicheskogo sada, 25(3), 11–188 (in Russian). Fateryga, A.V., Svirin, S.A., Fateryga, V.V., Shiyan, N.M. (2013b). New finding of Blackstonia perfoliata (Gentianaceae) in the Crimea. Ekosistemy, ikh Optimizatsiya i Okhrana, 8, 26–29 (in Russian). Fateryga, V.V., Fateryga, A.V. (2017a). Allium praescissum Rchb. (Amaryllidaceae), a species new for the flora of the Crimea. Byulleten Moskovskogo obshchestva ispytatelei prirody. Otdel biologicheskii, 122(6), 62 (in Russian). Fateryga, V.V., Fateryga, A.V. (2017b). New record of Allium regelianum (Amaryllidaceae) in the Crimea. Kotov S.F (ed.). Aktualnyye problemy botaniki i okrany prirody. Simferopol: Arial (in Russian). Fateryga, V.V., Kreutz, C.A.J., Fateryga, A.V., Reinhardt, J. (2013c). Epipactis muelleri Godfery (Orchidaceae) – a new species for the flora of Ukraine. Ukrayinskyi Botanichnyi Zhurnal, 70(5), 652–654. Fedorov, A.A. (ed.) (1979). Flora yevropeyskoy chasti SSSR, 4. Leningrad: Nauka (in Russian). Fedorov, A.A. (ed.) (1981). Flora yevropeyskoy chasti SSSR, 5. Leningrad: Nauka (in Russian). Govaerts, R., Zonneveld, B.J.M., Zona, S.A. (2018). World Checklist of Asparagaceae. Royal Botanic Gardens, Kew. Available at: http://apps.kew.org/wcsp/ (accessed 31 August 2018). Kamenskykh, L.N., Potapenko, I.L. (2012). About new species of adventive flora of Karadag Nature Reserve. Ekosistemy, ikh Optimizatsiya i Okhrana, 6, 3–14 (in Russian). Korzhenevsky, V.V., Ryff L.E. (2006). Analysis of flora of higher vascular plants of the Opuk Nature Reserve. Trudy Gosudarstvennogo Nikitskogo botanicheskogo sada, 126, 51–73 (in Russian). Peregrym, M.M. (2016). Is Ornithogalum arcuatum (Asparagaceae) present in the flora of Ukraine? Ukrayinskyi Botanichnyi Zhurnal, 73(1), 46–50 (in Ukrainian). Priority-setting in conservation: A new approach for Crimea (1999). Washington: Biodiversity Support Program. Privalova, L.A., Prokudin, Yu.N. (1959). Dopolneniya k I tomu “Flory Kryma”. Trudy Gosudarstvennogo Nikitskogo botanicheskogo sada, 31, 5–127 (in Russian). Sagalayev, V.A. (2008). Luk regelevskiy. Krasnaya kniga Rossiyskoy Federatsii (rasteniya i griby). Mocsow: KMK Scientific Press Ltd.(in Russian). Seregin, A.P. (2004). New and rare species of the genus Allium L. (Alliaceae) for the Crimean flora and some notes on taxonomy of the genus. Byulleten Moskovskogo obshchestva ispytatelei prirody. Otdel biologicheskii, 109(5), 43–47 (in Russian). Seregin, A.P. (2016). Luk regelevskiy. Yena A.V., Fateryga A.V. (ed.). Red book of the Republic of Crimea. Plants, algae and fungi, 2nd ed. Simferopol: Arial (in Russian). Seregin, A.P. (ed.) (2018). Moscow University Herbarium (MW). Version 1.14. Lomonosov Moscow State University. Occurrence Dataset. Available at: https://doi.org/10.15468/cpnhcc (accessed via GBIF.org 11 August 2018). Seregin, A.P., Yevseyenkov, P.E., Svirin, S.A., Fateryga, A.V. (2015). Second contribution to the vascular flora of the Sevastopol area (the Crimea). Wulfenia, 22, 33–82. Shatko, V.G., Mironova, L.P. (2008). Synopsis of Kiziltash region flora (the East Crimea). Byulleten Glavnogo botanicheskogo sada, 194, 75–93 (in Russian). Tzvelev, N.N. (ed.) (1996). Flora Vostochnoy Yevropy, 9. Saint Petersburg: Mir i Semya-95 (in Russian). Tzvelev, N. (2015). On the genus Orobanche L. sensu lato (Orobanchaceae) in Russia. Novosti sistematiki vysshykh rasteniy, 46, 189–215 (in Russian). Wulff, E.W. (1930). Flora Kryma, 1(3). Leningrad: Nikita Botanical Garden Press (in Russian). Wulff, E.W. (1953). Flora Kryma, 2(3). Moscow: Sovetskaya Nauka (in Russian). Wulff, E.W. (1969). Flora Kryma, 3(3). Yalta: State Nikita Botanical Garden (in Russian). Yena, A.V. (2012). Spontaneous flora of the Crimean Peninsula. Simferopol: N. Orianda (in Russian). Yena, A.V. (2017). Flora of Crimea today. Kotov S.F (ed.). Aktualnyye problemy botaniki i okrany prirody. Simferopol: Arial (in Russian). Yena A.V. (2018). Flora of Crimea 9.2. Botanika v sovremennom mire. Makhachkala: Alef (in Russian).